...it became quite clear that the fabric clung to my underthings in the most unflattering way. *sigh* It is now a fully lined easy/breezy shift dress and actually a much nicer dress. Guess things happen for a reason?! Ottobre 05/2015 no. 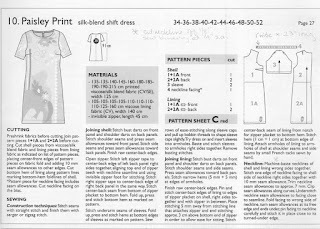 10 Shift Dress pattern. I wanted this one to be smaller everywhere, but only by a smidgen, so using the same pattern pieces I'd added a 3/8" seam allowance to, I simply sewed using a 5/8" seam allowance. And then lined..... fully lined because of the clinginess. Truth-be-known it was so clingy in such an unsatisfactory way, it was completely unwearable unlined. Using @1 1/3 yard +/- of fabric, this was made from a linen/cotton blend recently picked up at the local wholesale textile outlet that is only open to the public once a month. Completely fell in love with this fabric! The first time wearing this dress, both my husband and daughter, independent of each other, told me how great these colors looked on. That was really nice. 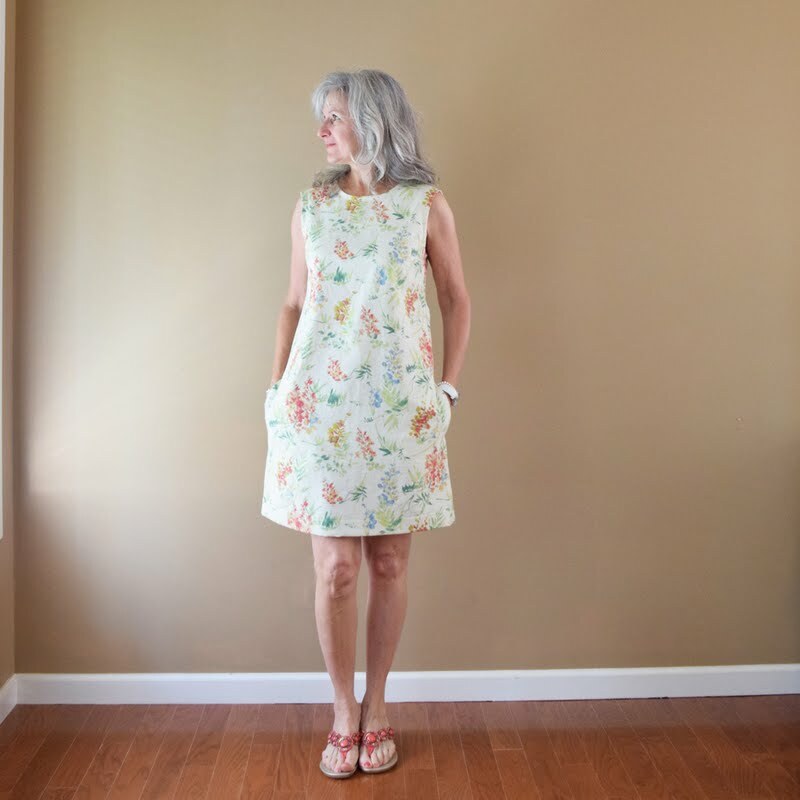 By the way, very happy with the invisible zipper insertion and sewed a 2" bottom hem, machine stitched with the blind-hem stitch, as I wanted this dress a little shorter than the previous version. Ottobre usually includes some sort of dart around the neck/shoulder area. This one is in the shoulder seam. A lining shot of the silky satin polyester purchased recently at Hobby Lobby. 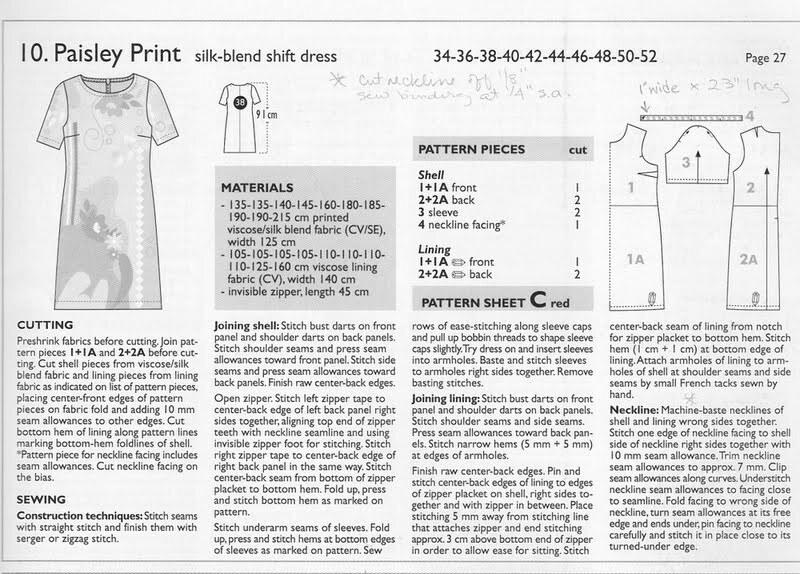 Because the dress was already completed, and because I so did not want to unpick every.single sewn and serged seam, I was very grateful to find a tutorial by Colette online of how to sew a lining to a sleeveless dress at this point of construction. It was one great big pain, but was able to complete the seams satisfactorily enough. No understitching there because of the order of construction, but was able to understitch the neckline seam. It seems to roll a little on the dressform, but not so much when wearing. So this may not technically be a 'flower', but fern fronds fall in the flora category right?! This dress was completed 5.29.2018 and is my Make a Garment a Month May 2018 Challenge project. I've already been wearing this dress and you would've seen it in my Me-Made-May 2018 post paired with the Ottobre Silk Jacket, but today it was worn to church this way..... with the Yoshiko Tsukiori Jacket. 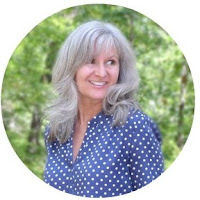 These shift dresses are easy to dress up or dress down and though the silhouette might not always be the more form-fitting flattering, it is nice to wear an easy/breezy dress during the summertime. Lined or unlined. And years ago, my husband planted a 'Secret Garden' of ferns and bracken under the front stairs, so I could not help but share a quickly snapped photo of how they are growing through the latticework he built. These were simply transplanted from other places on our property and are quite varied. My dress reminds me of his lovely plantings. I love ferns, and the fabric you have used is really lovely. It's a shame you had to line it but it is worth it. I love this dress! And it still looks casual and comfortable, like you’re ready for a nice outdoor barbecue, even though the lining feels fancy. :) A beautiful job!